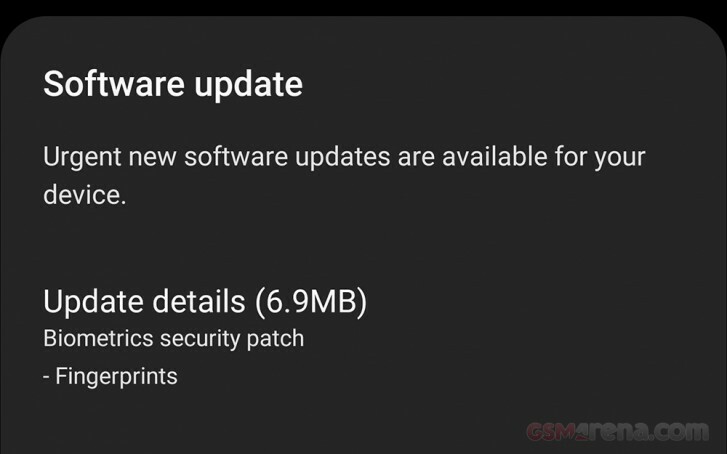 There is not much in the way of patch notes but the popup did say it was a biometric security patch for the fingerprint sensor specifically. It also seems to be only for the Galaxy S10 and S10+ as the Galaxy S10e did not receive it. This shouldn't be a surprise as while the S10 and S10+ have an ultrasonic fingerprint sensor embedded in their display, the S10e has a standard capacitive fingerprint sensor on its side. We noticed a tremendous improvement in performance of the fingerprint sensor post update. Prior to update the sensor was slow and unreliable. However, the update has made it nearly instantaneous and also work reliably over multiple unlocks. It's still not fast as the capacitive fingerprint sensor on the Galaxy S10e but it does seem faster than optical fingerprint sensors on other phones. We are not sure what else has been changed with the sensor and if there are also any security benefits, which we can't really test properly.A report from last week demonstrated how the fingerprint sensor on the Galaxy S10 could be fooled with a 3D printed fingerprint and we can't say for sure if Samsung has addressed that issue (or if it even can). Hopefully, it has but even if it's just the speed improvement, we will take it. Reader is still garbage. Returned mine..